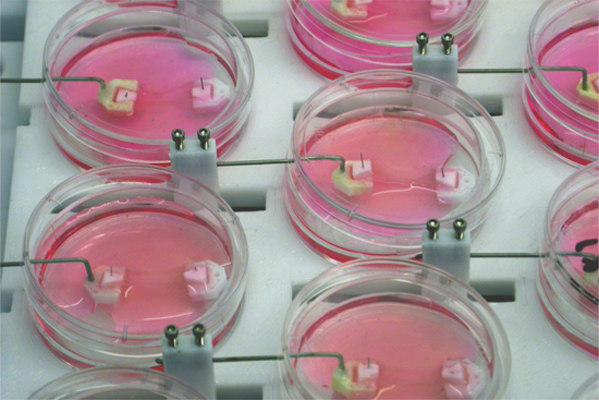 Neil Eisenstein has been awarded a significant grant from Orthopaedic Research UK for post-doctoral support to his project on developing a novel treatment for heterotopic ossification. In addition he has a review article on physicochemical analysis of mineralised tissue in press with Advanced Healthcare Materials. Finally, Neil organised a very successful symposium on Heterotopic Ossification with groups attending from all over the UK and even the United States. 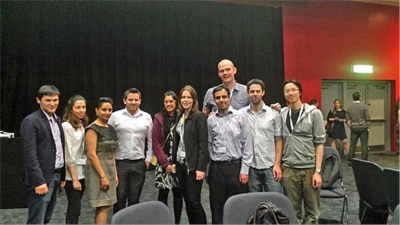 Liam, Sophie, and previous group member Parastoo attended the inaugural lecture of Professor Moataz Attallah on 21st October 2015. The talk entitled ‘To design, to weld, to 3D print, and not to σyield’ was a whistle stop tour of some of the work being done by Professor Attallah and his team in the School of Materials and Metallurgy. Congratulations to Moataz, who collaborators with Liam and Sophie on the EPSRC project, on his chair! TRAILab were out in force to attend a jaw dropping guest lecture from Professor Justin Cooper-White (University of Queensland). 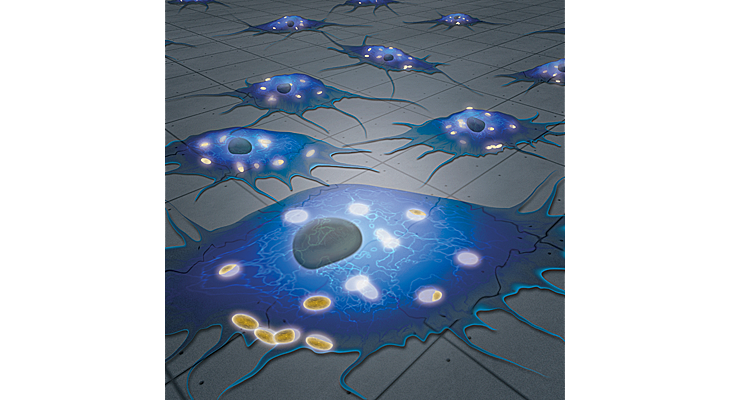 The talk was an inspiring example of the work Professor Cooper-White and his team do in the field of stem cells, microfluidics, and biomaterials science. Niusha, Sophie, and Felicity of TRAILab attended the European Society of Biomaterials meeting in the beautiful city of Krakow, Poland. Sophie delivered a well-received talk concerning her work on the EPSRC funded NIDMET project discussing the concept of delivering therapeutics from orthopaedic implants to prevent infection. All three attendees also gave poster presentations which all sparked interests from other attending delegates. Big congratulations to Alistair for submitting his PhD thesis entitled "Imaging the development of a bone-bone ligament construct" on Friday 15th May. Best of luck for your viva! 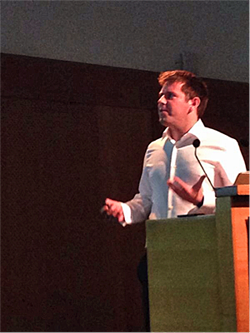 Neil won the Philip Fulford prize for best overall presentation at the Combined Services Orthopaedic Society Meeting in May 2015. He presented the preliminary results from his PhD project on novel methods to prevent and treat heterotopic ossification. 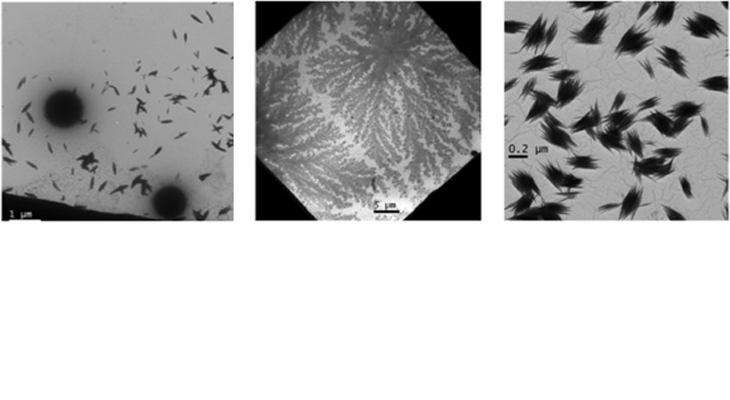 Congratulations to Erik on the publication of his paper titled "Inorganic cements for biomedical application: calcium phosphate, calcium sulphate and calcium silicate" in Advances in Applied Ceramics. The paper reviews current calcium based cements employed in the clinical setting for both orthopaedic application and drug delivery. We also suggest ways in which cements can be improved for their current applications. 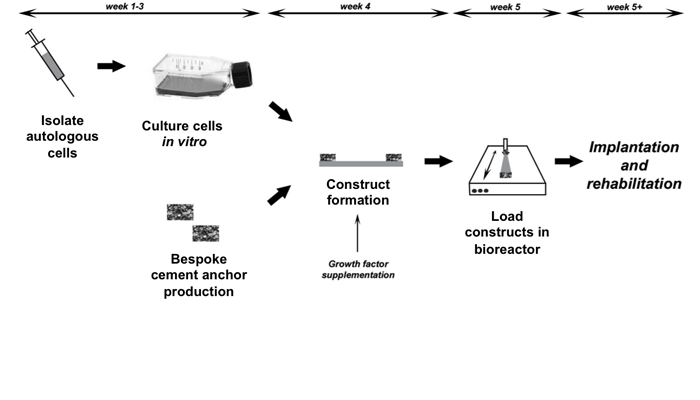 Five members of TRAILab will be attending this year’s UK Society of Biomaterials conference in Belfast on 25-26th June. Neil and Hayley will also be presenting posters on heterotopic ossification and metallic implant debris, respectively. 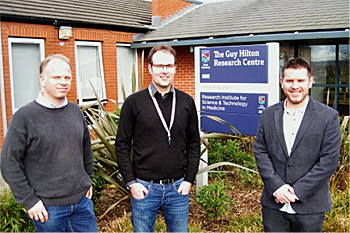 On 25th Feb 2015, Richard gave a very well received invited talk to members of the Institute for Science and Technology in Medicine at the University of Keele. 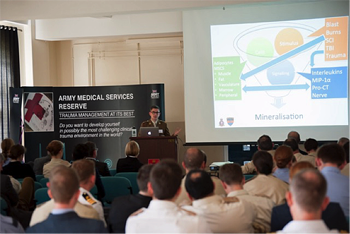 Dr Williams presented his research on “Designing materials to maximise regenerative potential” and collaborates with Keele on its regenerative medicine work. 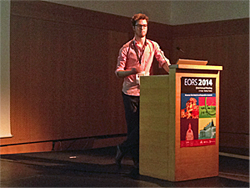 Richard Williams presents at Bioceramics 26, Barcelona. Richard gave a talk on chemical modification of ceramics and the latest applications developed within the group including antimicrobial peptide attachment and formation of structured materials. 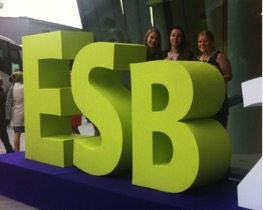 TRAIlab out in force at the European Society for Biomaterials (ESB) conference in Liverpool. Gurpreet and Ali gave well received talks on the role of silicon on collagen mineralisation and Raman mapping of phase changes in cements, respectively. 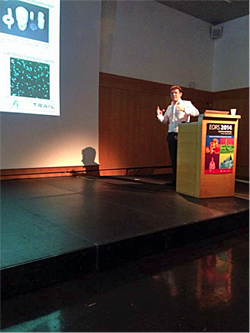 Erik Hughes presents at SETCOR International Conference on Smart Materials and Surfaces, Bangkok. 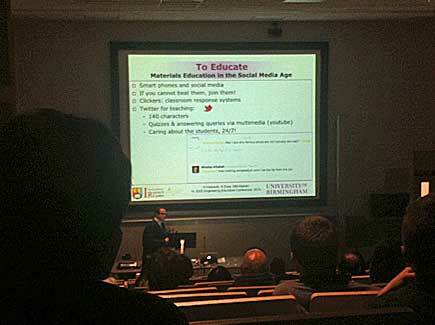 Erik gave a talk on his work on chemical modification and formation of composite materials. 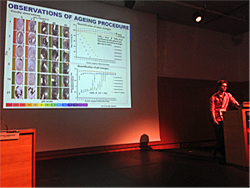 Richard Williams and Erik Hughes presented talks at the European Orthopaedics Research Society (EORS) conference in Nantes. Erik presented his work on crosslinked composite materials for load bearing implants, while Richard presented his work on tracking and quantifying cellular uptake of calcium phosphate particles. Pictures of both Richard and Erik.